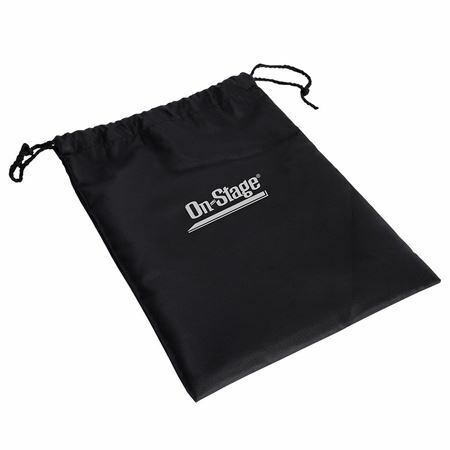 Order your On Stage HB4500 Headphone Bag from AMS and enjoy Fast & Free Shipping. Get the Best Deal with our Lowest Price Guarantee & Great Customer Service! Providing convenient portability and protection, the HB4500 headphone bag is made of durable, machine-washable nylon.Its 12.5 by 9 inch dimensions and drawstring closure accommodate and safely secure any standard sized headphone, facilitating ease of storage and accessibility. No more fishing around through a case full of dusty cables and accessories for your headphones. They're in the bag!